Traditional maybe not BUT practical YES!!! Great practical gifts for your guests, something that they will want to keep!!Approx. 11cm high x 7.5cm in dia and come in a couple of different colour options. No need for that extra bomboniere tag with names as this is already taken care of. 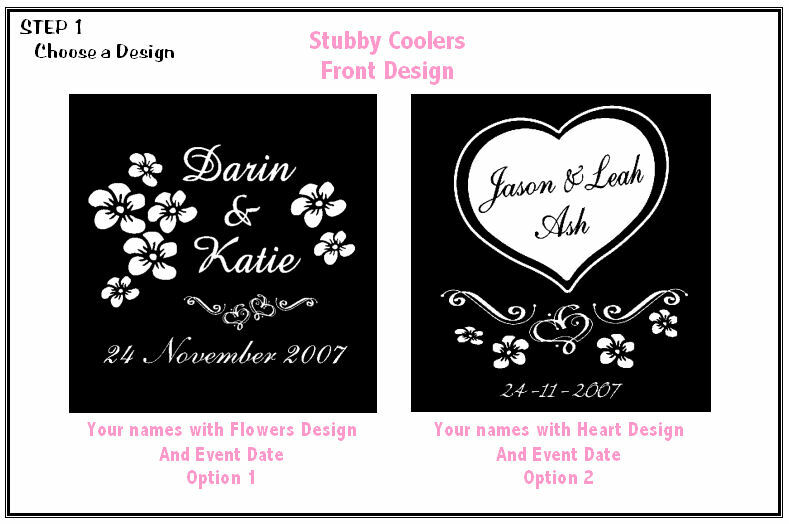 Orders over 200 contact us for pricing. 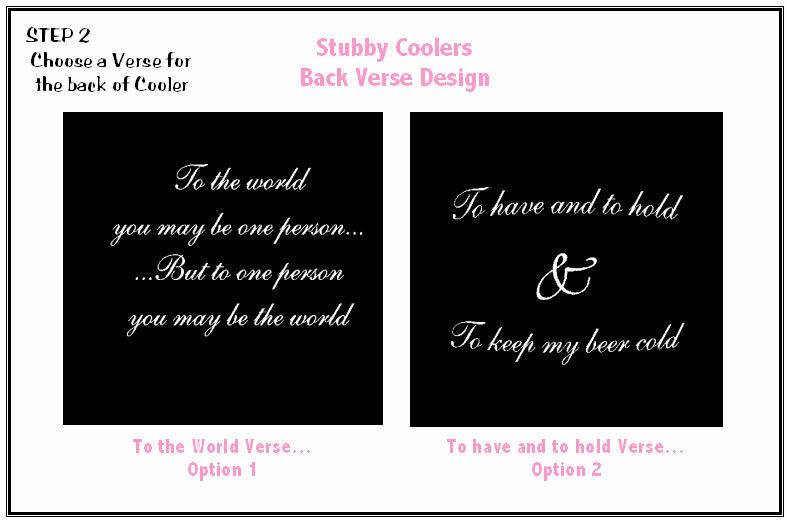 Black Cooler with - White, Pink, Yellow, Red or Purple Writing.